Start your day the juicy way! 2 Rinse carrots thoroughly and trim ends. 3 Rinse parsley and shake dry. Squeeze the juice from the lemon half. 4 Pass garlic cloves and 6 carrots through the juicer. 5 Add remaining parsley and carrots to the juicer and extract the juice. 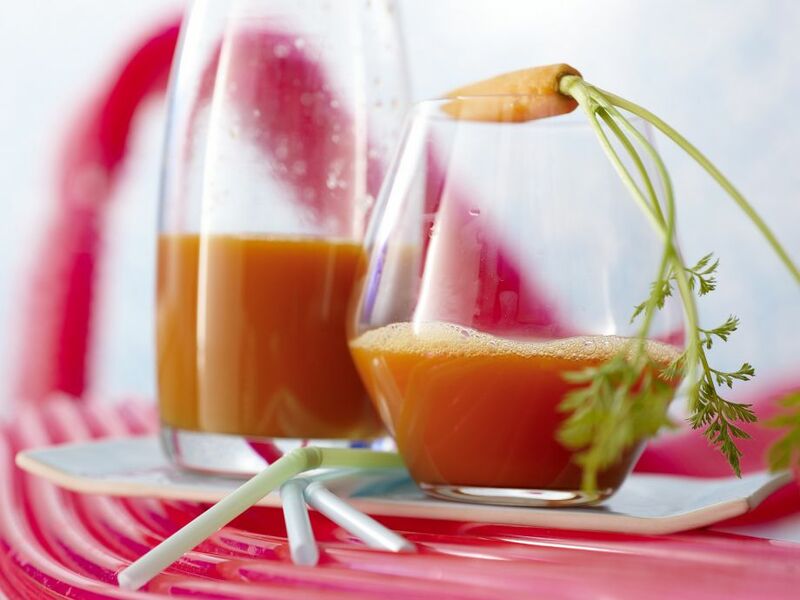 6 Whisk carrot juice with about 2 tablespoons of lemon juice and the canola oil and enjoy immediately.